Marketers still struggling with outdated systems and old-school marketing tactics can't compete in a digital world. With membership rates and renewals in decline, association and nonprofit marketing has never before depended so heavily on digital maturity. Is your organization among the two-thirds of associations suffering membership losses in the past year? According to a recent 2016 Digital Benchmark report, renewals are either in decline or at a complete stand still. Lack of member engagement is likely the main reason. The key to growth and retention? Simply put, members need memorable, dependable, and relevant experiences. The member experience should add value, whether it be one-click access to member-only information, or personalized website experiences and campaigns. Members want to feel known, connected with, and served. Delivering these experiences is known as digital maturity, and marketers who employ digital strategies hold tremendous power in their space. “For associations to compete in today’s high-speed digital world, they must deliver top-notch digital member experiences,” explains Cruce Saunders, founder of [A]Ⓡ. With one-third of individual member organizations indicating a decrease in five-year membership numbers, it’s more important than ever to stay relevant and connected to members. 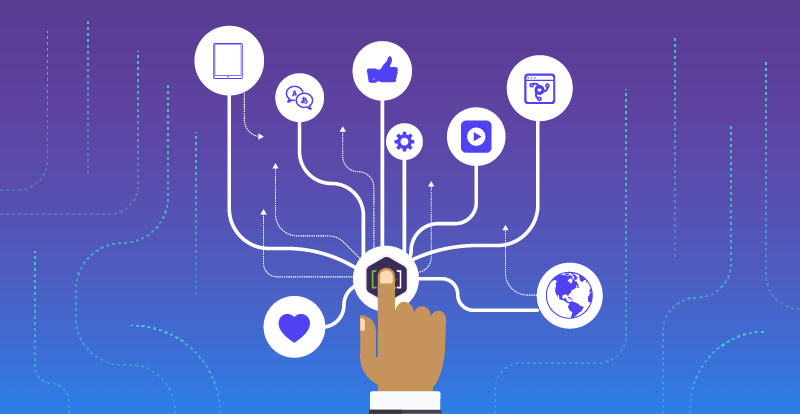 Members and charitable givers are constantly distracted by a multitude of competing channels, messages, and free social and networking communities of our digital era. Many of the organizations attaining member growth and engagement are those seizing the power of the data hidden within their CRMs and Association Management Systems (AMS). The AMS is commonly used by associations and nonprofit organizations to manage membership data, interactions, and events. Best of breed AMS solutions provide an end-to-end interface for managing all aspects of membership. The leaders are those integrating member data with an enterprise marketing system (EMS). Think of the AMS as part CRM and part back-office accounting functions. Now pair the AMS with an EMS. Together, the two can enable member-centric content personalization and behavioral marketing. This means simplified membership processing, event and training registration, enhanced and automated communications and campaigns, and effective fulfillment of other association marketing needs. The ideal member experience is delivered by using an AMS as the primary membership database and then integrating the AMS with platforms like the Kentico EMS to create personal and easy onsite experiences and closed-loop marketing campaigns. Digitally empowered organizations also use these technologies to streamline internal systems and processes for major efficiencies and return on marketing investments. Kentico's full set of integrated solutions include the Kentico Web Content Management System (WCMS), the Enterprise Marketing System (EMS), and support for E-commerce, mobile, and online communities and intranets. Kentico EMS functionality specifically coupled with an integration into the AMS enables member-centric content presentation and marketing, including membership processing, event and training registration, member and prospect communications, and other association marketing needs.